Play UK Casino will then reward you with a bonus (Welcome Bonus is for new players only). The terms and conditions of the bonuses vary between different casinos and might also change over time and between different countries, so it is important to compare the different offers and read the T&C for Play UK Casino before signing up. 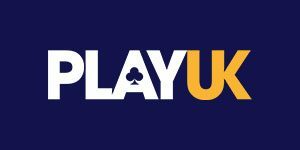 PlayUK, having been launched in 2018, is a fresh and promising casino you should look out for. When it comes to safety of their customers, they definitely do not play around. All your transactions will be handled safely, as this casino employs the best and up-to-the-minute SSL encryption protocols. 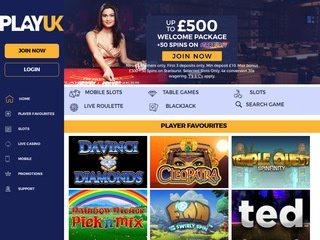 Moreover, PlayUK casino is powered by Nektan Ltd, a company registered in Gibraltar which is licensed and regulated by the Gambling Commission for players in Great Britain, and is also licensed by the Gibraltar Government and regulated by the Gibraltar Gambling Commission for the international players. This online casino is targeted at the audience in the United Kingdom, which is apparent from the name, but they are also open to accepting players from all around the world, except those from the following countries: U.S. Minor Outlying Islands, U.S. Miscellaneous Pacific Islands, U.S. Virgin Islands, the United States, American Samoa, and Guam. Besides the English, quite a few other languages are available and those include German, Italian, Norwegian, Finnish, and Swedish. This UK-oriented casino is a new one on the market, yet it is a casino with over 20 software partners, which is impressive. Among the numerous game providers partnered with PlayUK, there are some of the leading names in the online casino gaming industry – Microgaming, Net Ent, NextGen Gaming, Big Time Gaming (BTG), Quickspin and others. Due to their diverse software partnerships they are able to offer the most thrilling releases on a daily or weekly basis, and the wide range of games are available across multiple platforms, including Instant Play and mobile casino. The user-friendly lobby is divided into different categories, and there is also a search bar, so you can browse through them more easily. You will be able to find extensive selection of exciting slots, jackpots, table games, live dealer games, exclusive and instant win games. As we previously mentioned, the award-winning software suppliers stocked the shelves of Play UK’s virtual library with impressive slots, so there are hundreds of them for you to revel in. Whether you love playing the classic slot machine games, video slots or progressives like Mega Moolah, there plenty to choose from. Many popular titles are at your disposal, starting from Starburst, Gonzo’s Quest, Bonanza, Wheel of Fortune, Rainbow Riches, as well as branded titles such as Jimi Hendrix, Guns n’ Roses, Dracula, Jumanji and Planet of the Apes. And since they are regularly updating their ‘new games’ category, there is even more to look forward to. If you’re more of a table game player, you can cash in on the many blackjack and roulette variants. Here at PlayUK, a great selection of roulette titles is offered, this includes popular variants such as European, French and American, but there are Auto roulette, Speed roulette, Double Ball roulette and VIP roulette, too. In the blackjack subcategory you will be able to find Standard and Multihand Blackjack as well as Blackjack with 21+3, Buster, Lucky Ladies and Perfect Pairs bet. No other games are currently available at this online gaming venue. To experience a real excitement of going up against a live dealer, try your luck at 20 live casino games on offer. Having the leading live casino provider Evolution Gaming as their partner, that only means that PlayUK casino is focused on bringing you the best casino games in industry, as well as allowing their players to have instant play. Moreover, their live games are available 24 hours a day on either desktop or a compatible mobile device. The top games are live blackjack and live roulette game variations – Blackjack Grand VIP and Immersive Roulette Live. Poker and baccarat fans will be able to enjoy Casino Hold’em, Three Card Poker, and Caribbean Stud Poker, and live baccarat games such as Baccarat Squeeze as well as the faster version of the game – Speed Baccarat. There are several different payment methods available at PlayUK casino, and on their website they have listed them by country and currency. You can go for Visa, MasterCard and Maestro cards, ewallets such as Neteller, Skrill, Skrill 1-tap, Paysafe Card, Trustly or bank transfers Sofort and Giropay for Germany, Zimpler for Sweden, and Boku for players in the UK. To start playing you will need to make a £/€10 minimum deposit or 100kr and $20 while the maximum payouts vary based on games you play. The Customer support is there to help you with anything you need cleared up. In case you ever need them, get in touch with them via live chat or call them on the telephone stated on the website during 08:00-00:00 GMT/BST. Or you could send them an email from the address registered on your casino account and they will make sure to answer you in 24 hours.